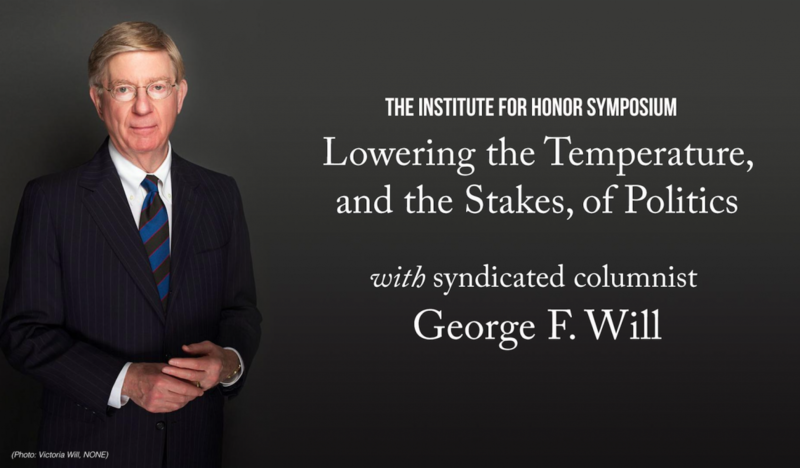 George Will is the keynote speaker for this year’s Washington and Lee University Institute for Honor Symposium, “Civility and Public Discourse.” He will give his address on Friday, March 1 at 4 p.m. in Lee Chapel. Will’s talk, which is free and open to the public, is titled “Lowering the Temperature, and the Stakes, of Politics.” The talk will be available to watch online here. 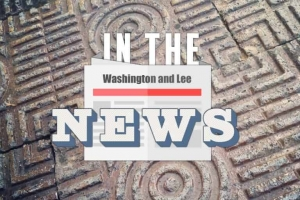 Will’s newspaper column has been syndicated by The Washington Post since 1974. Today, it appears twice weekly in more than 440 newspapers. In 1976, he became a regular contributing editor of Newsweek magazine, for which he provided a bimonthly essay until 2011. In 1977, he won a Pulitzer Prize for commentary in his newspaper columns. In June 2019, Will will release his most recent work, “The Conservative Sensibility.” Altogether, eight collections of his Newsweek and Washington Post columns have been published, the most recent being “One Man’s America: The Pleasures and Provocations of Our Singular Nation” (2008). Will has also published three books on political theory. In 1990, he published “Men at Work: The Craft of Baseball,” which topped The New York Times bestseller list for two months. Will’s most recent book on baseball is “A Nice Little Place on the North Side: Wrigley Field at One Hundred” (2014). In July 2000, Will was a member of Major League Baseball’s Blue Ribbon Panel, examining baseball economics. In addition to writing, Will has spent more than three decades providing regular television commentary, beginning in 1981, when he became a founding panel member on ABC television’s “This Week.” After that, he spent three years with Fox News, where he appeared regularly on “Special Report” and “Fox News Sunday.” Will is now a regular contributor to MSNBC and NBC News. Will was educated at Trinity College in Hartford, Connecticut, as well as Oxford University. He earned his doctorate and currently serves as a trustee at Princeton University. He has taught political philosophy at Michigan State University, the University of Toronto and Harvard University. Will served as a staff member in the United States Senate from 1970-72. From 1973-76, he was the Washington editor of National Review magazine. Today, Will lives and works in the Washington, D.C., area.